Valerio Vincenzo is an Italian photographer, based between Paris, Milan and the Netherlands. His previous photographic work has included A Day in Paris, photos from all four American cities named after the French capital, and Real Virtuality, focusing on the stickers a Northern Irish town put over the windows of abandoned buildings before a G8 summit to give the impression of vibrancy and economic activity. His current project, Frontiers of Peace, is a record of the EU’s internal borders and shows the extraordinary change that the Schengen Zone has effected throughout much of Europe, leaving border posts derelict, making travel across frontiers instant and erasing the barriers between countries, some ancient and some relatively recent. 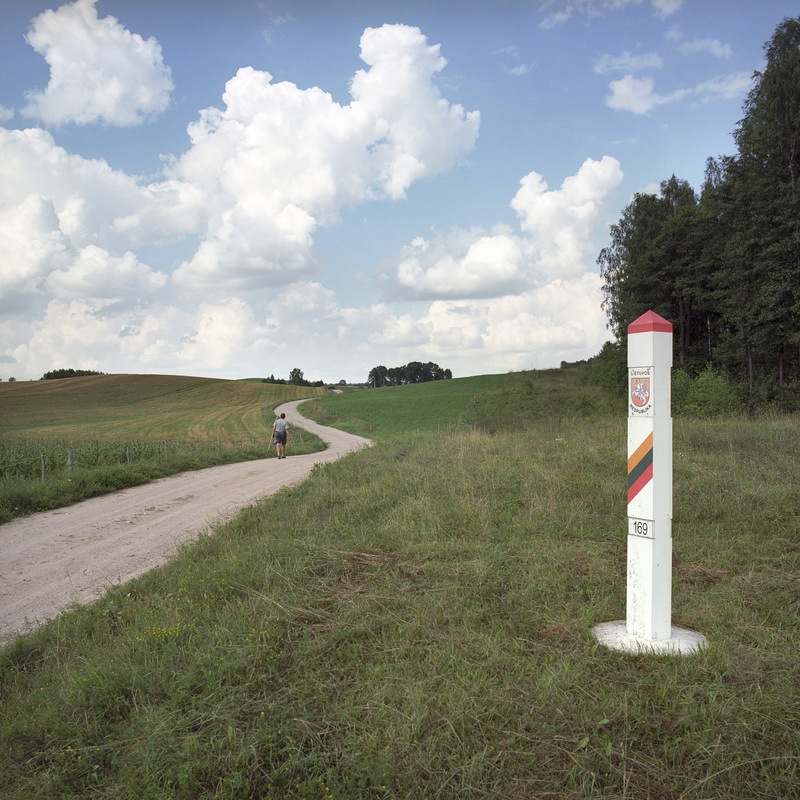 The project started in 2007 and is still ongoing, but he has already made it up to the Baltics and photographed the three Schengen borders in the region, between Lithuania and Poland; Latvia and Lithuania; and Estonia and Latvia. Vincenzo says about the 1985 Schengen accords: “these Agreements are a giant leap in the progressive unification of Europe and the emergence of a European conscience.” At a time when some European countries are once again closing their borders and reimposing passport checks, we wonder whether these will one day be seen as a record of a brief historical phenomenon that won’t be repeated. Vincenzo shared some images of the Schengen borders of Estonia, Latvia and Lithuania with Deep Baltic, as well as memories from his trip to the Baltics. VV: The trip along the internal Schengen borders of the Baltic states in 2010 was one of the most exciting trips of my 2007-2016 Borderline project. Before that I had worked on the borders of Switzerland, France and Italy; I had been exploring landscapes that were familiar to me. It was Marie Lelievre, the photo editor at the French daily newspaper Le Monde who suggested that I enlarge the scope of my project by visiting the Baltic states. Being an Italian, I remember preparing myself for a very cold trip. August 2010 was instead a very hot summer, with temperatures often exceeding 30 degrees – a pure pleasure for someone from the Mediterranean! I worked along the borders ten days, sleeping most of the time along the border in my tent. Most of the time, I was in quite sparsely populated areas, but I managed to stop one night in each of the three capitals. I have many fascinating memories from that trip: the beauty and peace of the forests in summer; the respectful relationship that the inhabitants have with nature; the long white stretches of sandy beaches; Riga, with its beautiful opera house (where I managed to attend a performance) as well as the charm of the abandoned Russian villas on the beach; the student nightlife in Vilnius – I am sure I am missing many other things. As an Italian raised before the end of the Iron Curtain, the Baltic States were a black area in my mental map of Europe. I realised that Europe is culturally, socially and geographically richer than I had thought. Europe is also more than its capitals – often when we visit a country we limit ourselves to its capital, but capitals are seldom representative of the rest of the country. Finally, this trip convinced me to continue the borderline project; it is important to protect freedom of movement in Europe. It is a right that is worth defending – for us and for future generations. Here I am in Kolka, in Latvia, looking at the Baltic Sea. The border with Estonia is somewhere on the horizon. I went to Kolka, even though it is not on the border between these two countries, because at that time I was also documenting the (claimed) centres of Europe. Three of the four centres that I photographed are in the Baltic states. Valga/Valka is a very interesting city. I saw that you featured an article on it; I do not have much to add! The only thing is that I try not to interfere with the scene I am shooting. Here, this fruit seller woke up when he heard my car parking next to him, and I had to wait a while pretending I was fixing my camera before he went back to sleep. This was one of the most peaceful moments of the trip, these kids were really excited to practice with me the first basic notions of English they had learnt at school, then they forgot about me and enjoyed this borderline bath. I am not even sure they knew that they were swimming back and forth between Latvia and Lithuania. Evidently Latvia and Lithuania do not have the same suppliers for electric poles; one can notice the difference at the border! Header image: Lithuanian-Polish border, near Krejwiany (Poland). VV: Sometimes I wait a long time for a passer-by to arrive, in order to have as much human presence as possible in these images. I want the borders to be inhabited.